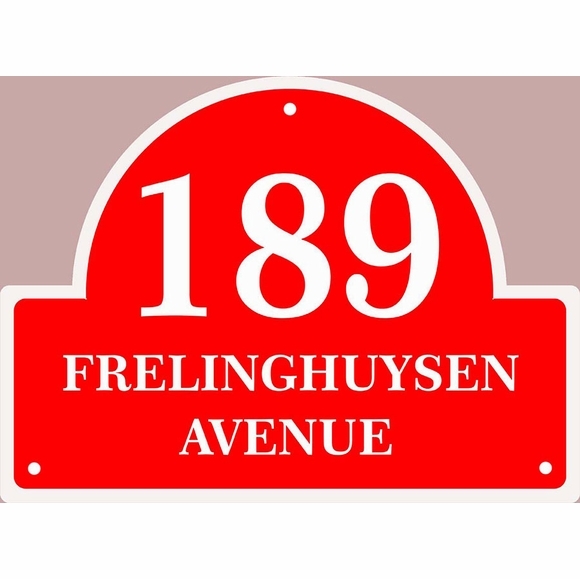 Personalized 16 x 11.75 Arch Address Plaque - - three line sign. Wall mount. Made in USA. Line 1 holds three big, bold 4" high numbers inside the arch. Your choice of one or two address lines below the number. One address line holds up to seven 2" high characters. Two address lines hold up to fourteen (14) 1" high characters each. If not using both lines, please leave the Line 3 input box empty.